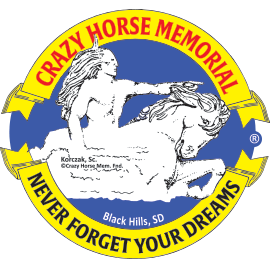 Share the inspiration of Crazy Horse Memorial on your vehicle or any smooth surface, with our colorful bumper sticker that states "I was Inspired at ©Crazy Horse Memorial". 10 1/2" x 3". Made in the U.S.A.